In MetaTexis, you have full control over how the TUs (translation units) are presented to you for editing. 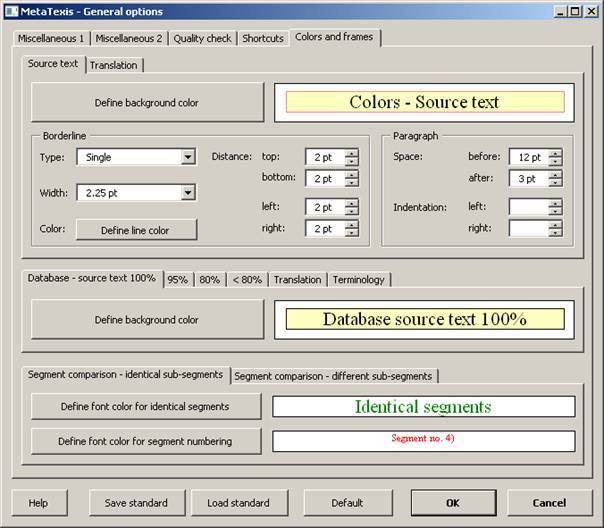 You can customize the colors and frames of all the elements of a TU: source, translation, database segments, terminology. Moreover, you can customize the colors and effects used for segment comparison. · Settings for segment comparison. These will be explained in detail below.